Please see below the trailer for GHTV, the world’s first official playable music video network. GHTV is a 24-hour, always-on mode that lets fans play along to a continually-updated collection of official music videos – across a wide variety of genres – from the newest releases to favorite hits. Fans can pick from multiple channels and themed shows, discovering new songs as they play, and can also choose songs to play on-demand. In GHTV, fans can also play with their friends in the same room or against players from around the world, while completing challenges along the way for sweet rewards. 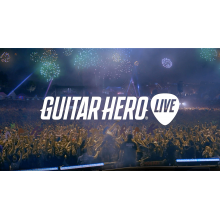 Guitar Hero Live will be available October 20, 2015 on PlayStation 4, PlayStation 3, Xbox One, Xbox 360, Wii U and select mobile devices to be announced soon. The game comes bundled with the brand new guitar controller at the suggested retail price of $99.99, and is rated “T” for Teen (Lyrics).